In The Hoop Embroidery Machine Kitty Cat Pattern is here! Introducing my In The Hoop Embroidery Machine Cute Cat Pattern to make a Baby Safe Kitty Stuffie. Mama Cat loves all of her Kittens .. careful they multiply fast! 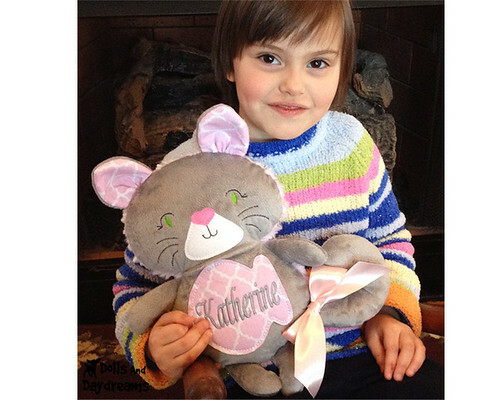 You'll be The Cat's Meow after you make one of these cuties!